Voted #1 Breakfast in New Haven! 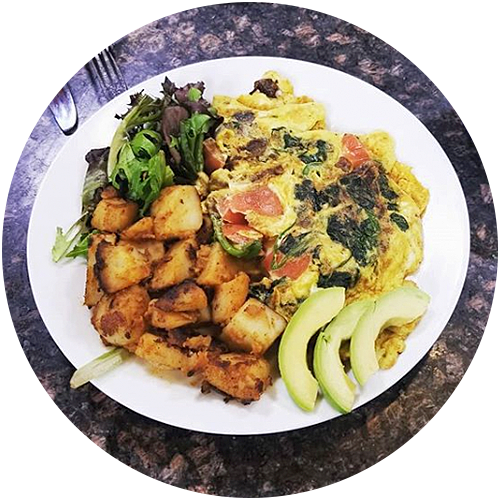 Zoi's is your best choice for fresh, locally sourced breakfast and lunch in New Haven! Over 100 5-Star Google Reviews and over 200 on Yelp! I love the fact that I work down the street from this place. My go to lunch spot. I’ve never had a bad meal! The roast beef is AMAZING. Rare and thick cut. The salads are HUGE and packed with toppings. My other go to is their chicken cutlet. So good! They’re also very quick, and the outside seating area is great. I love that they have specials that change throughout the week. I will definitely continue to order from this great little cafe. If you’re ever on a road trip or are passing by Connecticut, do yourself a favor and stop by Zoi’s on Orange for breakfast! OMG, it was literally one of the best breakfast sandwiches I’ve ever had. It’s a small shop that’s easy to miss, but thanks to Yelp, we came across Zoi. I ordered the Big Kahuna, which was sausage, bacon, egg, cheese, hashbrowns, and ketchup on a roll. It sounds like a heart attack, but I guarantee you’ll finish the entire thing with no regrets. It was THAT good. I wish I had magician powers where I can just transport from New York to Connecticut whenever I’m craving a greasy breakfast sandwich. This place was great! We ordered the cinnamon French toast, the California Cobb salad, the feta and tomato omelette, the buttermilk pancakes, and the big kahuna. Everything was amazing and fresh. It was a nice and cozy place with great service, and it gets packed, but it is worth the wait. I recommend this 100%. Zoi’s just helped me cater a business breakfast. 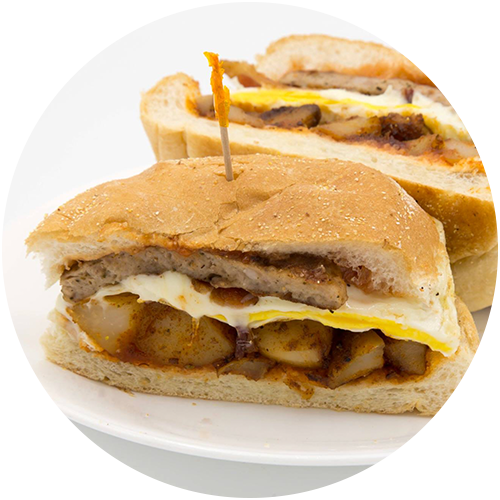 It turned out great – everyone loved the breakfast sandwiches and home fries. The owner, Pete, went above and beyond to be sure that everything went well. It’s my new favorite breakfast place in New Haven. I’ve had Zoi’s catering through my job and their sandwiches are awesome. For at least a year I thought this place was some huge catering only type of restaurant because they do it so well. I finally drove by it and was surprised by how small the place is. This place is a powerhouse in a small package. I’ve had breakfast sandwiches and pastries from here a few times and they’re great as well. Excellent service and the breakfast would satisfy a Marines appetite. if you are especially visiting from out of town you will not be disappointed. Highly recommended. This was one of the best chicken cutlet sandwiches I have had had in a long time. They prepare it thin but not too thin. Breading and fry are perfect. The avocado was ripe and the lettuce and tomato were crisp and juicy respectively. The roll was fresh and it was a perfect size for this generous sandwich. I went around 10am and they were serving lunch items. Best bacon, egg, and cheese I’ve ever had! I didn’t think they could get much better but I was SO impressed. I went in with only a few minutes for food, they were so fast I was in shock. I’m so looking forward to going back in sometime soon to grab something different to try. But highly recommend the breakfast! Zoi’s is my personal favorite for lunch in New Haven. Pete and his staff make excellent food at reasonable prices and the new location is a major upgrade! What a great find this one was. My buddy and I knew it would be good because there were multiple police cars there and usually if the cops eat breakfast at a place, you know it’s good, as my friend has always said. The restaurant was very clean and affordable. Now on to the best part, the food. The menu offered many signature breakfast sandwiches, lunch offerings and salad choices. I had a western omelette sandwich on a fresh baked roll with well done home fries which might have been an all time favorite. Definitely want to return and try some of the chicken cutlet lunch sandwiches. Great little spot in new haven! I was in town for a wedding and needed a breakfast place. They just released their new breakfast menu which awesome. A variety of eggs Benedict’s, breakfast sandwiches, salads and other sandwiches. Service was amazing! Everyone was so nice and helpful. Definitely recommend. Wow. Wow. Wow. Wow. What a great value and unbelievably quality. The four of us ordered a variety and all was outstanding. Really wish Richmond Va had a place like this. Will come back every time we visit. Fantastic! You won’t be disappointed. Great sandwiches, the service is fabulous and the owners father is a charmer for sure. The bread on the panini sandwiches is to die for.m: Soft, flavorful, fresh (oh so fresh). We were a party of 5, we arrived at 11:30 am which was perfect because by the time we were wrapping up our food the line was going out the door. My two kids LOVED their sandwiches and so did the three adults. I highly recommend going here for so a yummy food! This place was awesome!!! Came down to Ikea not realizing it doesn’t open until 10. Decided to find a breakfast spot to kill some time. Yelp helped us find this place, and we were not disappointed. I had an omelet and my friend had eggs and French toast. All of it was amazing. Atmosphere is GREAT. Everything is SUPER CLEAN, and the food is definitely fresh. I will definitely be back here anytime I’m in the area. I’ve been coming here with my eldest son every other Saturday for breakfast for over a year… probably 2, going on 3 years… and we’ve never been disappointed. The food is awesome and the people who work here are even better. Best bacon, egg and cheese subs I’ve had in NYC, NJ or Connecticut can be found right here. 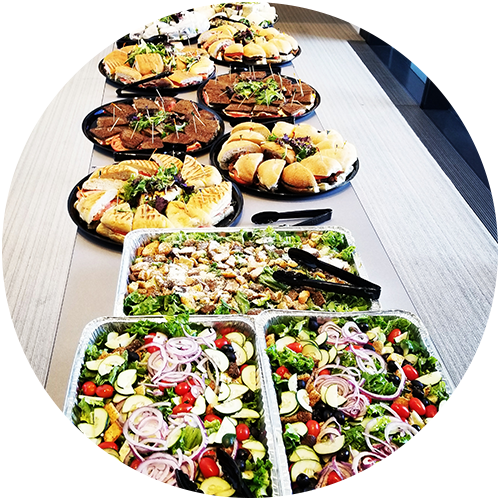 Ordered lunch for a meeting, said we were interested in something semi-healthy. Pete made some suggestions, we went with it and everyone was happy. 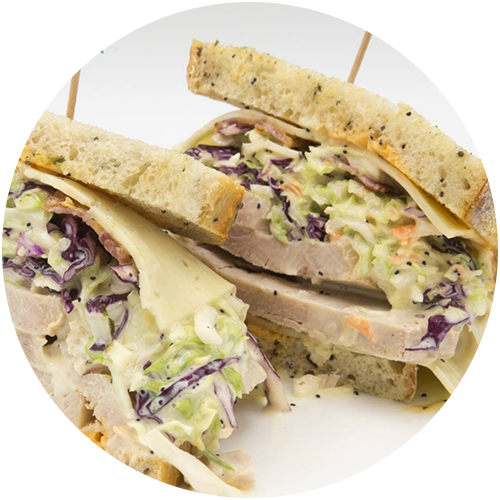 Sandwiches, coleslaw and fresh fruit (not the bagged kind). All was delicious! Consistently fulfilling, generously portioned sandwiches and breakfast options. Plenty of combos and custom choices. Very friendly service. Comfortable patio where they’ll bring your food to you, but sadly they’re moving spaces, down the block, in September 2017. OMG I would seriously drive back here from NYC just for the #8. This sandwich is sacred and blessed by the holly Gods above! They knock it out of the park every time. Top notch breakfast and lunch with a great staff. Zoi’s food is fantastic! The service & management are truly amazing! They go above and beyond to make sure their customer’s are satisfied, it is a real treat to order from Zoi’s. HIGHLY recommended! Amazing chicken cutlets and fries. Came in from Philly and would certainly come back again. The food is delicious, the prices extremely reasonable. The staff are very friendly and the owner is always on sight. I’ve used them for catering, and now they are my go to lunch spot! Zoi’s is maybe the best sandwich shop in New Haven. High quality ingredients, an open dining area, fast and friendly service — can’t wait to come back and try their food again. Other reviewers raves about the #8, which is chicken cutlet and chipotle mayo. I 100% agree, it’s an awesome meal for ~$8. Best fish tacos I ever had! Awesome sandwhichez. Great atmosphere. Always great service and a great place to be able to hang out and no rushing to push you out. Sandwiches are Very fresh! Had the #23 Italian Combo and it was great! Happening place that’s really busy at lunchtime. Phenomenal!! I would recommended everyone to eat here!!! Came to New Haven for a wedding and had some free time to explore the City. We came here for a lunchtime sandwich and all I could say is wow! You have to try these sandwiches! We got the Italian and a prosciutto, fetta, and fresh mozzarella sandwich and they were some of the best sandwiches I’ve had in my life. Definitely come here if you’re in Town! Great salads and sandwiches. Quality ingredients and fresh. For the restaurants in this town, Zoi’s may have the best value. Big sandwiches and breakfast platters at reasonable prices. I recommend the lumberjack sandwich. They serve breakfast diner-style, so bring your friends and the appetite of a trucker. The atmosphere and decor are bright yet informal, especially when the overhead garage doors which form one wall of the establishment are open to the warm summer air. Great place to make memories with friends. Zoi’s is a welcoming environment there cozy yet earthy set up gives you an experience that I have never encountered before in the downtown area. Their wide array of food options appeases the customers pallet and gives a reason to come back to try something new. The food is just as exceptional as the service and dining set up. I will definitely be dining there again. Pete and his whole entire staff are awesome!! Tasty breakfast for a good price in a pleasant atmosphere. Lots of police, fire, and rescue personnel were enjoying a solid breakfast here too. Definitely plan to return when I need breakfast in New Haven! Really lovely atmosphere, nice place to take a real break for lunch. Great menu, chicken cutlet thick and juicy. Salads apparently also really good. Nice touch of delicious potato salad on the side. Staff really friendly and helpful. This place is just fantastic. The food is very fresh and very tasty. There’s a reason it’s packed everyday at lunch time. Go ahead and call ahead and pick it up. The staff is super friendly too. Zoi’s has whipped up some amazing catering events! Whether you choose one of our packages, or have special requests or custom items, we can make it happen! Zero Waste Catering available upon request. My brother, Vincent, works in New Haven so once a week I meet him for lunch at Zoi's. I love their Buffalo Chicken salad. OMG it is so delicious and their servings are generous. The place is packed at lunchtime but there are always tables opening up so don't be intimidated by the line to order. The staff is so helpful. A great place to eat lunch! A really nice breakfast place. Was really full and satisfied with my meal. Friendly staff. Nice ambience to chill with friends! This place is just fantastic. The food is very fresh and very tasty. There's a reason it's packed everyday at lunch time. Go ahead and call ahead and pick it up. The staff is super friendly too. It is an absolute shame Zoi's is not open on Sundays, because I would go every day of the week if given the chance. 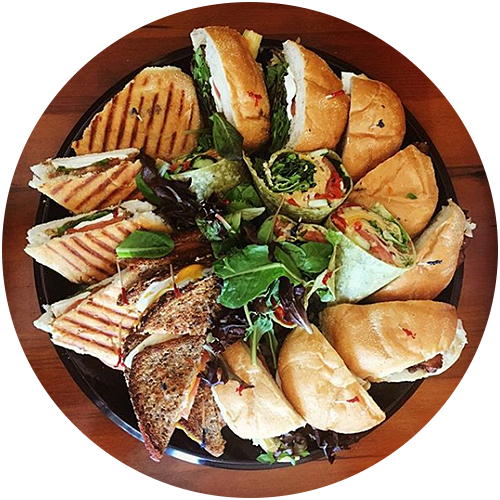 Wide selection of delicious sandwiches, a great breakfast menu, and a nice vibe especially during the summer! Great place for breakfast and lunch in New Haven. Pete the owner is super friendly. Gets crazy busy at lunchtime, but the new location offers far more seating. 20 mins to make a breakfast sandwich cooks are slow as molasses going up hill in January. When i was there owner spot checked an order he stared at the order slip and then the cooks. Cooks must be able to read ,speak fluent English his cooks must not be able to do this. On a closing note the sandwich sucked. Good food. Very busy restaurant. This is a lovely breakfast and lunch place. 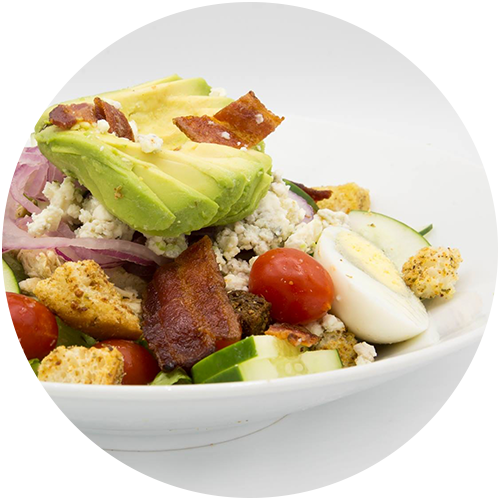 Good California Cobb salad and good coffee. Love this place. The food is excellent. I have ordered several things and have yet to be disappointed. They always do a great job. I highly recommend this place.